Ecoisland’s mission is to be the hub of a sustainable future on the Isle of Wight. 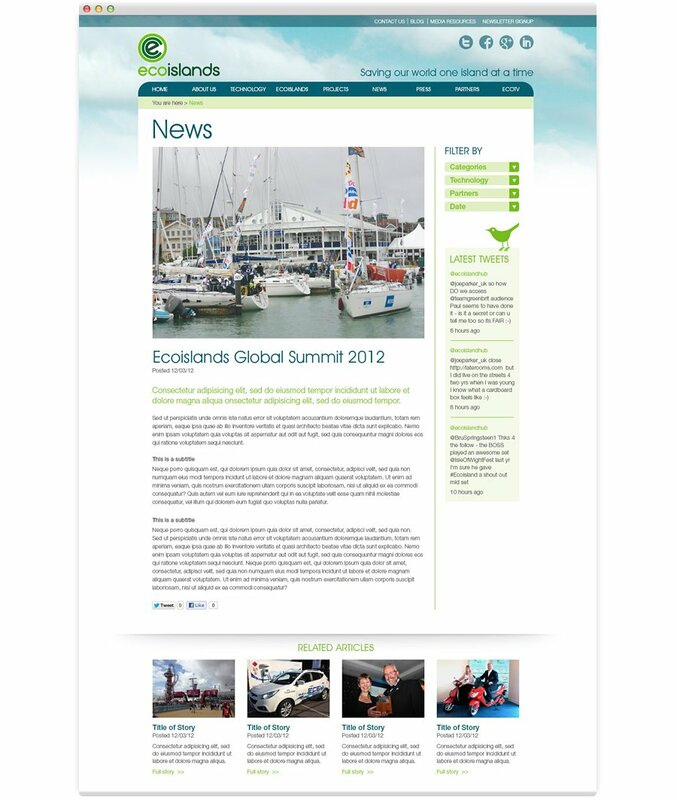 This website coincided with their Global launch and the launch of Ecoislands. The site needed to give them a news based platform that was easy to update daily. 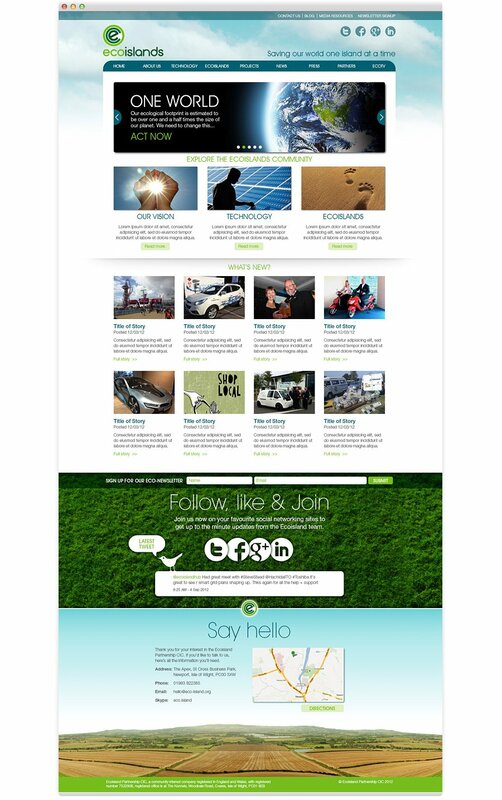 Produced in WordPress it allows the user to easily filter through the type of information they want, so if they need to know about Hydrogen powered cars, they can easily access any related articles from the site archive.